How to Deliver SMEAEP If you are aN Exercise Business. Note: The term ‘exercise business’ refers to any business where exercise is the core product. This includes but is not limited to: Gyms, Health Clubs, Fitness Centres, PT studios, Yoga studios or Sole Personal Trainers. 1. Apply for endorsement online. 2. Complete the online endorsement assessment process. 3. Market and deliver your programme to local businesses. To get an overview of how SMEAEP works please watch this video Note FBT is currently 49% not 64% as mentioned in the video. Who can provide the programme? Once endorsed any REPs registered exercise professional can provide the programme. As SMEAEP is an ExerciseNZ Endorsed product, all clubs wishing to provide the SMEAEP programme must both be a Member of ExerciseNZ as well as a REPs registered Exercise Facility. Do I have to work out of a gym or studio to run this? Not necessarily – as long as the programme meets the conditions outlined in the endorsement process it can be run out of a large club or via a freelance PT. What are the key criteria that must be filled? The exercise professional administering and facilitating the programme must be REPs registered. The programme must be personalised for each employee. An assessment of the employee must be carried out. Progress of the employee must be monitored and records kept. The employer must be kept updated. 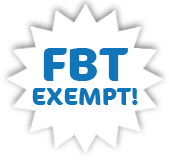 It must be stressed from the outset that this FBT-exempted product does not include gym memberships per se. It only applies to a specific exercise-based product fulfilling the criteria outlined above. If you wish to offer an ‘upgrade’ option to include a membership, there are guidelines that must be followed and the membership portion is NOT FBTexempt. What resources will I get once my programme is endorsed? When can I start the endorsement process?